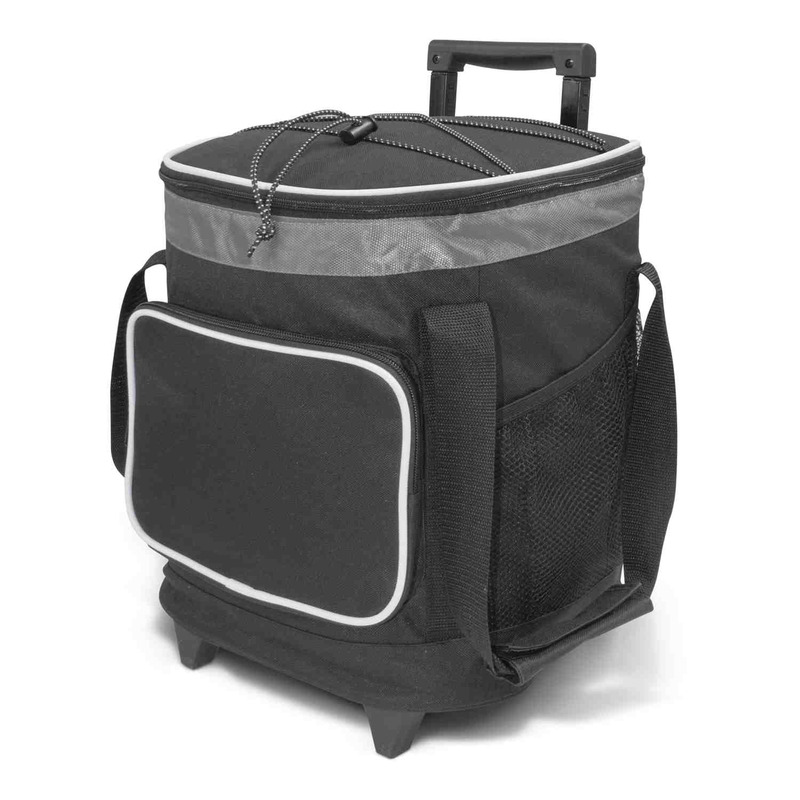 16 litre trolley cooler bag designed to easily roll in with your snacks and soda when you pack them. Keep your food and drinks cool with this large 16 litre trolley. It features a two stage pull up handle, robust dual wheels, a zippered top closure, two large side pockets, a large zippered rear pocket, woven carry handles with a Velcro cuff, and trendy elastic lacing which is ideal for holding a sweater or light jacket. It is made with a thick PE foam insulation encased in a waterproof PEVA inner liner and the outer construction is 600D polyester with decorative ripstop nylon trim. Ideal cooler trolley for camping trips, or outdoor sporting events. Offers easy access to your refreshments & containment. Reinforced tow handle & durable wheels.